The beloved cast of the original Disgaea returns in this remaster for a new generation, for the first time in HD! The story takes place two years after the death of King Krichevskoy, the ruler of the Netherworld. His son Laharl slept for two full years, unaware of his father’s death, while demons fought for supremacy over the Netherworld. With the help of his subordinate Etna and her underlings, the egocentric, megalomaniac Prince Laharl fights his way to become the next king. Feel the Wrath of Laharl! 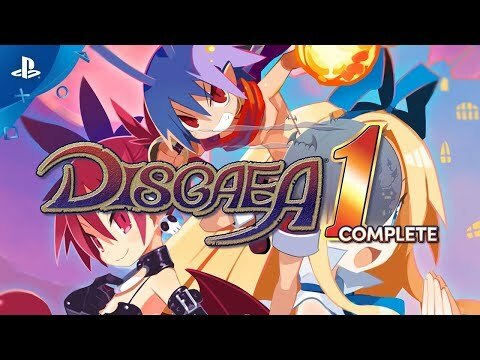 The original Disgaea is back and better than ever! Play through the main story, or try Etna Mode with extra characters not found in the original release! Get lost in the Item World for hundreds of hours of fast-paced strategy RPG action, now in HD for the first time! Level up anything from characters to items to shops, all while wearing 100-ton boxers! Things not working out in your favor? Head to the Dark Assembly, and change the laws of the Netherworld! ©2003-2018 Nippon Ichi Software, Inc. ©2018 NIS America, Inc. All rights reserved. Disgaea is a trademark or registered trademark of Nippon Ichi Software, Inc.